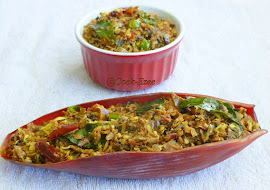 Here I'm sharing today the all famous Vermicelli Upma, the quickest and easiest breakfast and all time favorite of my kids. My son believe it is a kind of non-sticky noodle because of its texture and similarity in looks. You can either cook the Semiya/vermicelli in boiling water, drain them off and add to seasoning/tempering/thadka or do the seasoning and add the boiled vermicelli to it and mix. If you do the second way, you'll get to taste all crunchy nuts but if you are in jiffy go for the first method. 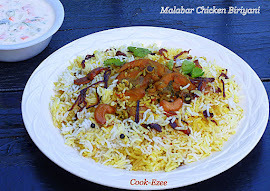 This gets cooked in no time, so is a great option for woking women on their busy mornings. Try it out, Enjoy!!!! Dry roast the vermicelli and keep aside(you will find the roasted vermicelli in stores, opt out roasting if you buy that). Heat a frying pan, add oil and splutter the mustard seeds. Add urad daal, peanut, curry leaves, dry red chilly and stir for a min. Add onion, green chilly, ginger and saute for 2-3 mins till onion is translucent(don't over fry the onion). Add the water and get to boil, add salt as well. 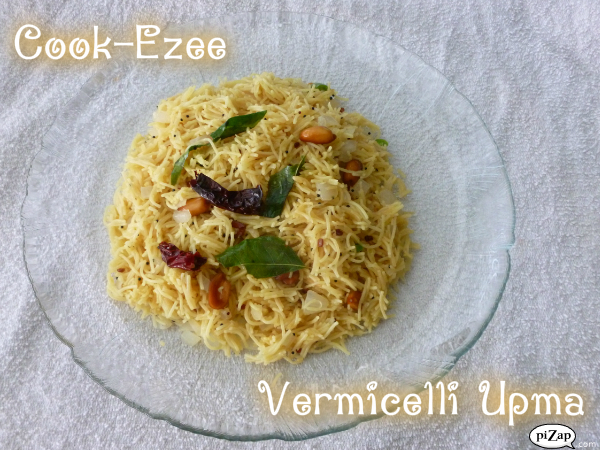 Lower the flame to med and add the roasted vermicelli slowly and stirring it slowly. Keep stirring till it absorbs all the water(take care of vermicelli not to become sticky).